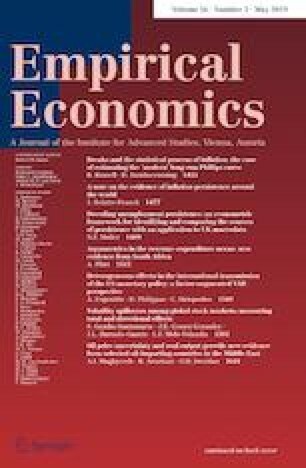 This paper provides fresh insights into the timings and effectiveness of monetary policies in forestalling the recent housing bubble in the USA. It develops a new version of the threshold unobserved components model, which characterizes interrelations between housing price returns and the federal funds rate during 1991–2010. The framework tracks monetary policies timings through threshold regime-switching phenomena. The estimated low-growth regimes are synchronous with the two bubble-like housing busts in the 1990s and 2006–2007, as well as historical downward movements in the interest rate. The threshold indicator, the moving-average housing price return, indicates a counterintuitively positive association between cyclical housing price returns and the interest rate in the housing bust regimes of many metropolitan housing markets. The results suggest that Phoenix, Riverside, San Diego, and Washington are more vulnerable to housing bubbles than other cities due to the weak effectiveness of monetary policies in stabilizing metropolitan housing markets.